While Willy Wonka’s world of fantasy has influenced several generations’ worth of dreams about what chocolate makers should be like, the reality is often far less whimsical. However, that doesn’t mean that there is no imagination when it comes to chocolate shops. There may not be any oompa loompas or chocolate rivers churning a cocoa flood, but Australia is home to a wide range of chocolate shops that experiment with flavour, presentation and the overall experience – making your childhood dreams come true. Handmade chocolates in small batches are the speciality of this artisanal chocolate maker from Western Australia. If you’re looking for truffles with a silky centre and unusual flavour combinations, such as wattleseed and hazelnut, or lemon myrtle infused white chocolate, then this is the shop for you. 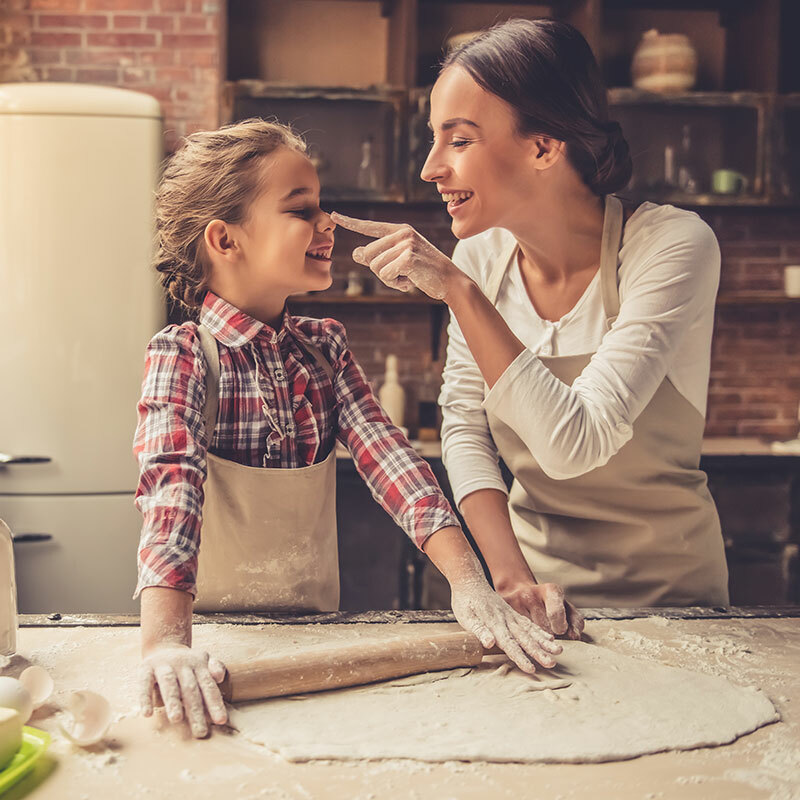 To spread the joy of chocolate making, they also offer chocolate education classes. 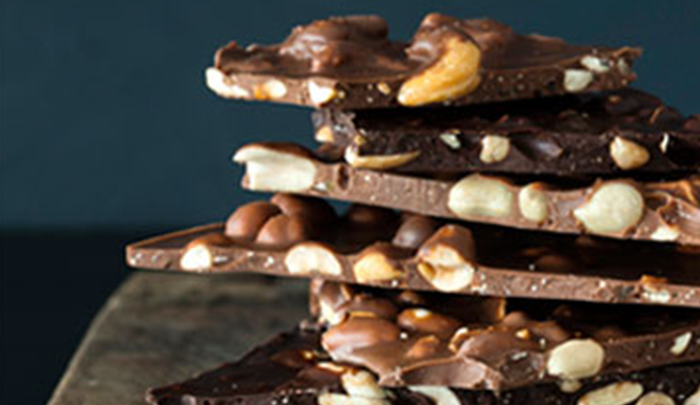 You’ll learn about tasting and tempering chocolate and then take home some handmade chocolates as well. With 5 locations around Adelaide, this café is a hit among chocolate lovers. While their café menus offer savoury options and sandwiches, the smell of chocolate in the air will make it difficult to try anything else. They offer a variety of hot chocolates from around the world, spiked with chilli, cinnamon or chai for a party on your tastebuds. However, it is the chocolate fondue fountains to share that will make Bracegirdle’s your new favourite dessert spot. While the name might seem linked to Queensland’s warm climate, it actually comes from the working temperature for tempered dark couverture. 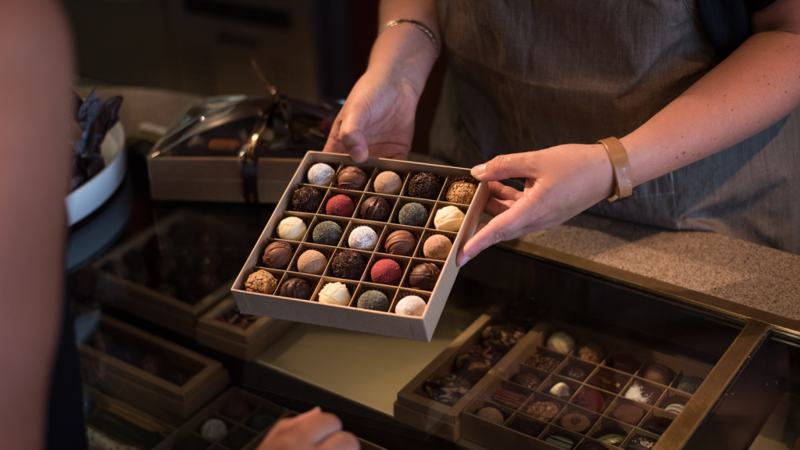 This custom chocolate shop makes a delicious array of pralines and truffles, with custom orders available through their online store (so even if you can’t make it up North, you can still try some of their delicious offerings). Their most exciting offerings are their custom piñata cakes: made from a shell of chocolate in either a traditional cake form or a custom shape, then filled with an array of delightful chocolate treats. They’re a dramatic alternative to a traditional cake. Offering a huge selection of chocolates and gift boxes ranging in size from 10 to 64, this is a popular pick amongst people looking for special corporate gifts. Don’t let the fact that they’re loved by the corporate world put you off though! These fine chocolates are loved just as much by those looking for something a little bit quirky. Whether you’re getting novelty chocolate like their 100% chocolate spoons or Lego blocks, or truffles shaped like mushrooms or champagne corks, you’ll find a gift everyone will love. This family-owned chocolate store prides themselves on matching chocolate from around the world with unique flavours to create individual chocolate bars. Their flavours include spiced rum dark chocolate, white chocolate with sour cherries, and black and white sesame milk chocolate. You can buy their beautifully wrapped chocolate bars and drinking chocolate online, at a large range of shops throughout Canberra, or find their stall at the Capital Region Farmers’ Market on Saturdays. One of Melbourne’s favourite chocolate makers for over a decade, this chocolate shop first launched back in 2006 at Prahran Market. In that time, they have expanded from a small homemade selection to a factory in Brunswick. Their factory is through the red door and shares a space with East Elevation café, where they supply hot chocolate and sweets for the dessert menu. Melbourne is well-known for its café culture and this combination is hard to beat, so Monsieur Truffe is a stop any sweet lover would hate to miss. Chocolate makes the perfect gift and at Cocobean Chocolate their gift boxes will delight anyone who receives them. With a large selection of beautiful handmade truffles in signature flavours including popping lavender and bananarama, in addition to hot chocolate blends that are as indulgent as they are delicious, they’re the gift that might be too good to give away.